Samsung may have recently denied rumors about licensing out webOS, but that isn’t stopping the company from exploring other venues. Surprisingly, the usually pro-Google Samsung could be cutting a deal with one of the search giant’s biggest competitors, as rumors are now pointing to a joint Samsung-Microsoft tablet in the works. We recently heard about Microsoft showing off a quad-core tablet at a New Zealand conference, and now word from the Korea Economic Daily and This is my Next indicates that the device could be a joint Microsoft-Samsung slate. 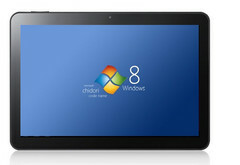 The tablet will most likely be running Windows 8, but it could also be powered by an ARM processor such as NVIDIA's awaited Kal-El APU. Sadly not much else is known about the tablet, but all indications point to it being on hand at the Microsoft BUILD developer conference in California on the 13th of September. Furthermore, Microsoft and Samsung could be passing the device out to attendees at the event, so you might want to hurry and grab tickets before they sell out.